So, how do you like your s'mores? 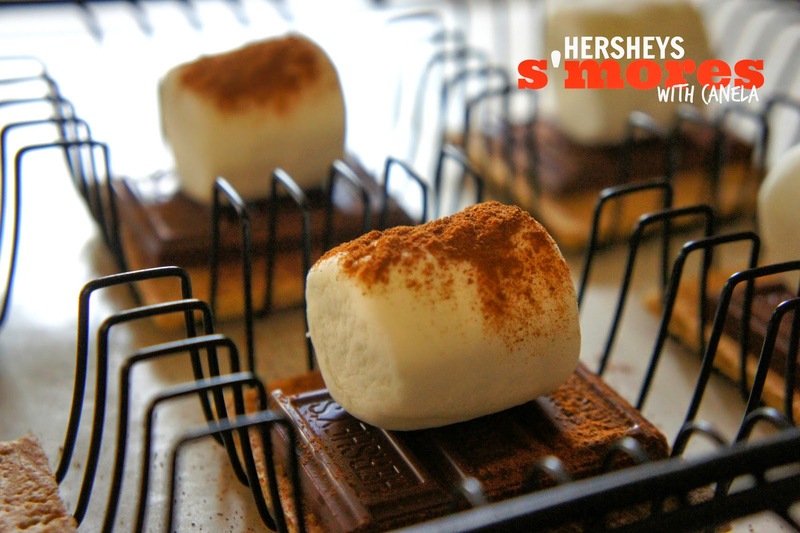 To be quite honest, we are not much for camping, so S'mores have not always been a regular summer snack for us. But all that changed when our friends at Hershey's sent us a grill basket, that you can use in the oven or on the bbq pit! I especially love them in this grill basket because I can add some yum ingredients like cinnamon. We even tried some with a little dab of honey. 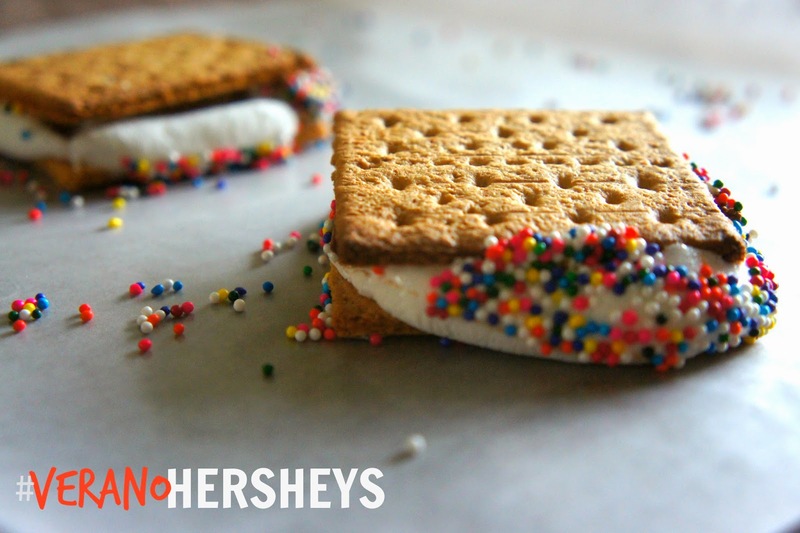 When they come out of the oven, the wire basket is pretty hot, so I very carefully open with a towel, then use my special Hershey's tongs to grab and dip in the sprinkles! It's great for a surprise late night snack after the kids are in their pajamas! They will never expect it and they will always remember that time they were already in bed and you called them down for s'mores! So how do you s'more? Visit Veranohersheys.com to see more fun tips and enter a sweepstakes to win your prize pack! And to double your luck, I've got a wonderful giveaway for you guys: a complete #VeranoHersheys S'more set of your very own! 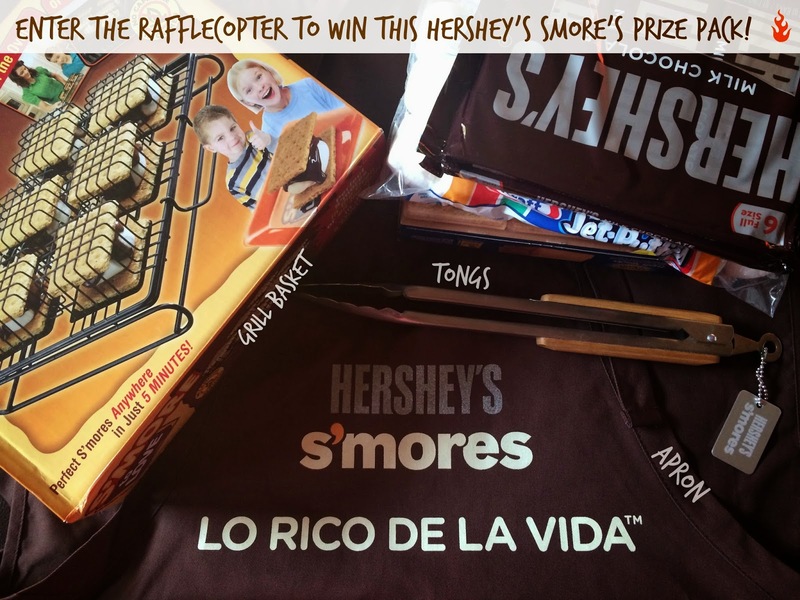 First, enter the Hershey's sweepstakes, if the site comes up in Spanish first, you can click the In English button at the top or click the "Participa Ahora" and enter your info or use your Facebook log-in to enter! Then enter our Rafflecopter below! Buena suerte!